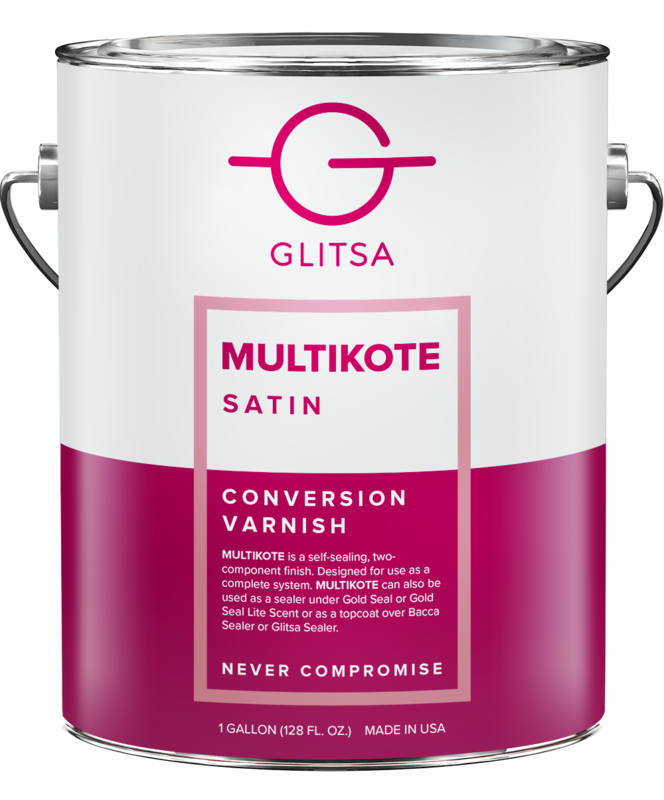 MultiKote Swedish Finish is a two-component, fast-drying conversion varnish with a pale amber cast engineered for residential and commercial hardwood floor applications. 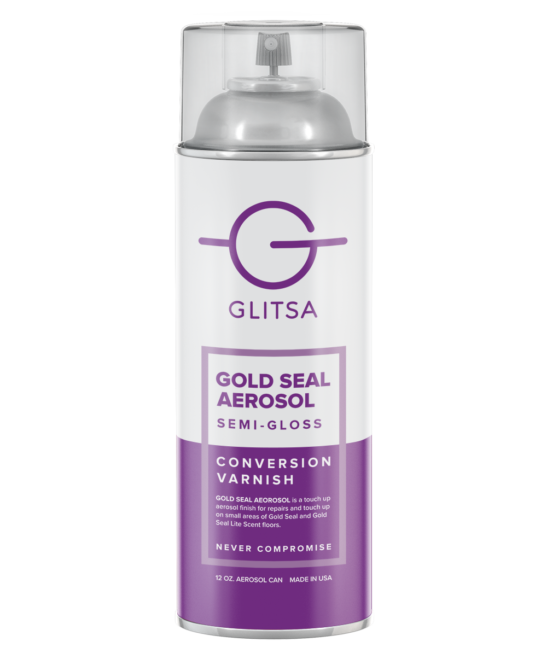 Glitsa MultiKote is designed to be used as a self-sealing system applied over itself. Gold Seal or Lite Scent for repairs after one week. Two coats of MultiKote Swedish Finish are recommended to achieve a durable, scuff resistant finish. If desired, a third coat may be applied for added durability. Prior to application, turn off all pilot lights, heaters, air conditioners and all other ignition sources. Since vapors may travel, prevent build up by ventilating areas of the job not being treated. During winter months, warm temperatures must be achieved, then shut off heat to prevent air movement. During application, it is important to prevent direct air movement (windows, doors and refrigerator exhausts) across MultiKote, as this will cause the finish to dry too quickly causing application marks and lack of flow. Provide indirect ventilation during application. Avoid direct sunlight on the area being coated by covering windows where necessary. Hot sun will heat the wood and make the finish dry too fast to allow full flow, or could cause bubbles in the product. Mix only the amount of finish and hardener needed for use. Stir finish thoroughly. MultiKote should be applied freely with a lambswool roller, applicator (new lambswool applicators may leave lint in finish) or Glitsa brush. Finish should be applied at 300-400 sq. ft. per gallon. Follow the grain of the wood from wall-to-wall, being sure not to work or brush the material too much or apply too thinly, which could cause MultiKote to set up too quickly and not allow full flow. In hot, dry climates, Glitsa Retarder may be added to finish to lengthen open time and aid flow. 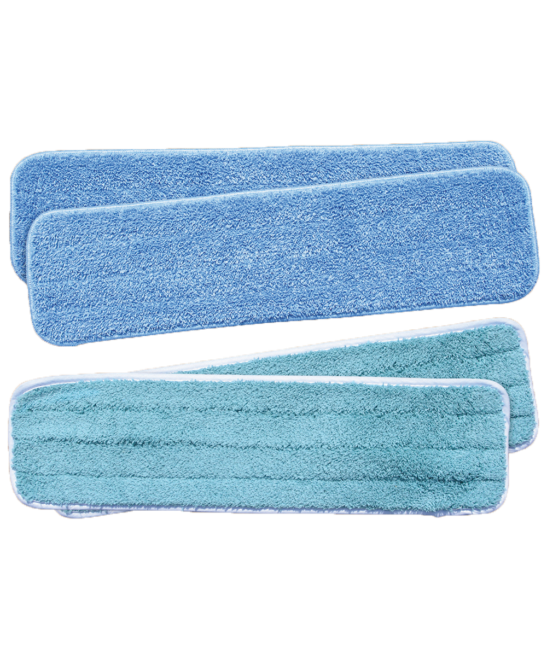 When MultiKote has dried to the touch, ventilate premises, while maintaining temperatures of 60º – 70º F. (15.6º – 21.1º C.). Optimum air quality is achieved through aggressive ventilation. Once dry, abrade with a conditioning pad and 180 grit or finer sanding strips. 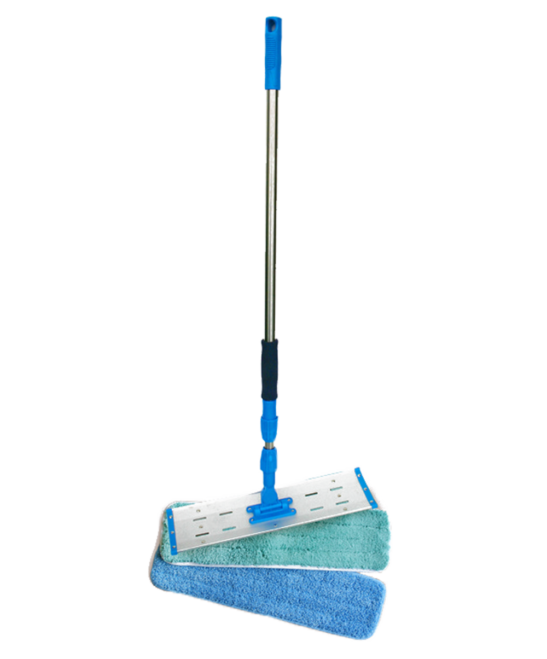 Vacuum carefully, and tack with water or a premium grade lacquer thinner using a Glitsa Tack Mop. Always apply subsequent coats within 4 to 8 hours of abrasion. For best results, allow a minimum of 4 hours dry time prior to final coat. 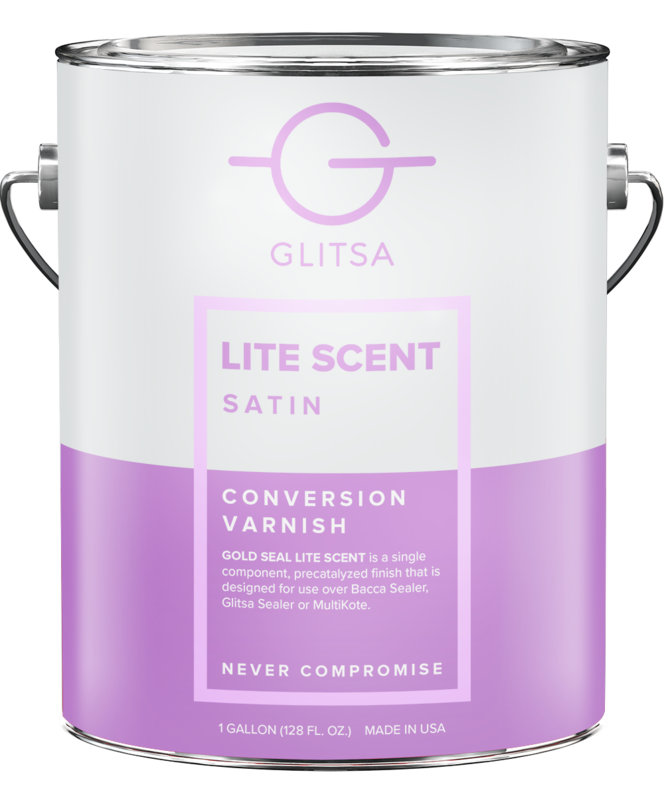 Apply no more than two coats in a 24-hour period. Clean equipment immediately after applying finish with fresh VOC compliant lacquer thinner. After the hardener is added, the pot life of MultiKote is 24 hours. Increased temperatures will reduce pot life. IMPORTANT: Before adding hardener, READ CAUTION STATEMENTS on hardener label. Any mixture containing hardener will have hazards of both components. OBSERVE ALL APPLICABLE PRECAUTIONS.